At Sheraton Grand Mirage Resort Gold Coast, we aim to keep you comfortable and connected every moment of your stay. Our 295 guest rooms, including 11 suites, are designed in minimalist modern style and feature spectacular views. In-room technology includes a 32-inch LCD TV, iPod docking station, and environmentally friendly features like LED lighting and individually-controlled air-conditioning. Sleep soundly on our Sheraton Signature Sleep Experience bed each night, and rise and shine in a marble bathroom that includes a plush bathrobe and slippers and Le Grand Bain bath amenities. After a day of friends, family, or business, there is one more thing to savor at Sheraton Grand Mirage: the welcome of our guest rooms, which are completely smoke-free. 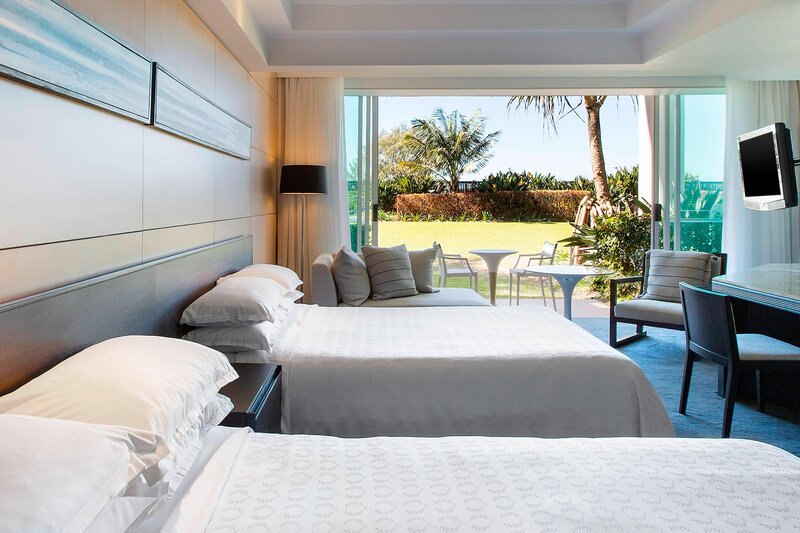 Loved your nights sleep at Sheraton Grand Gold Coast so much that you want to take home the bed? Now you can. 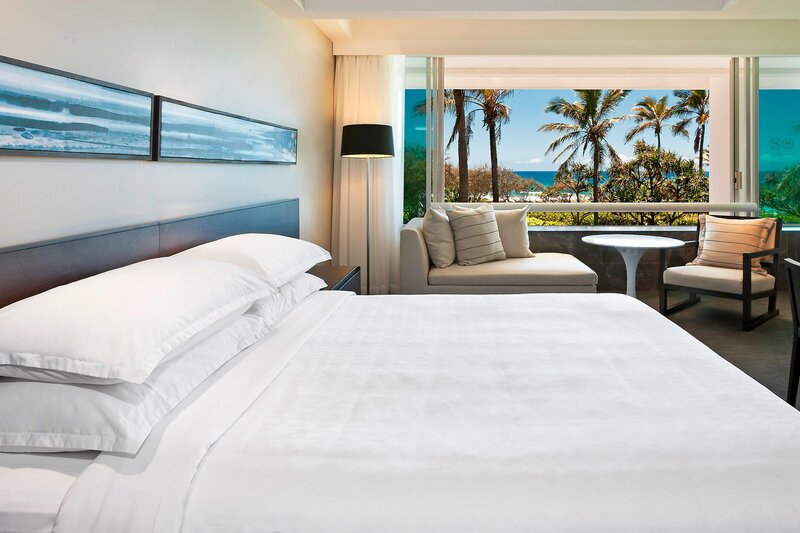 All rooms and suites at Sheraton Grand Gold Coast feature the Sheraton Signature Bed.